Orsat has been involved with continuous unattended ambient air VOC monitoring since its earliest implementation in the State of Texas Coastal Oxidant Assessment for Southeast Texas (COAST) program in 1994. Today, Orsat’s services encompass all aspects of site operation from deployment and consultation to operator training and application assistance in topics ranging from Microsoft Windows operation to gas chromatographic theory. In particular, Orsat has customized the installation of hardware and software configured to operate co-operatively in the Windows environment which produces a robust application capable of delivering lab-quality results in a continuous unattended field operation. [Orsat] performed exceptionally considering that there had to be communication between three agencies. The end user is provided with certification data detailing the individual system performance at the time of start-up including background, detection limits, precision and linearity. Once configured, data recoveries are routinely 90–95%. Over the past three decades, Orsat has deployed over 40 sites and currently maintains over 35 sites in the state of Texas for both public and private industry. 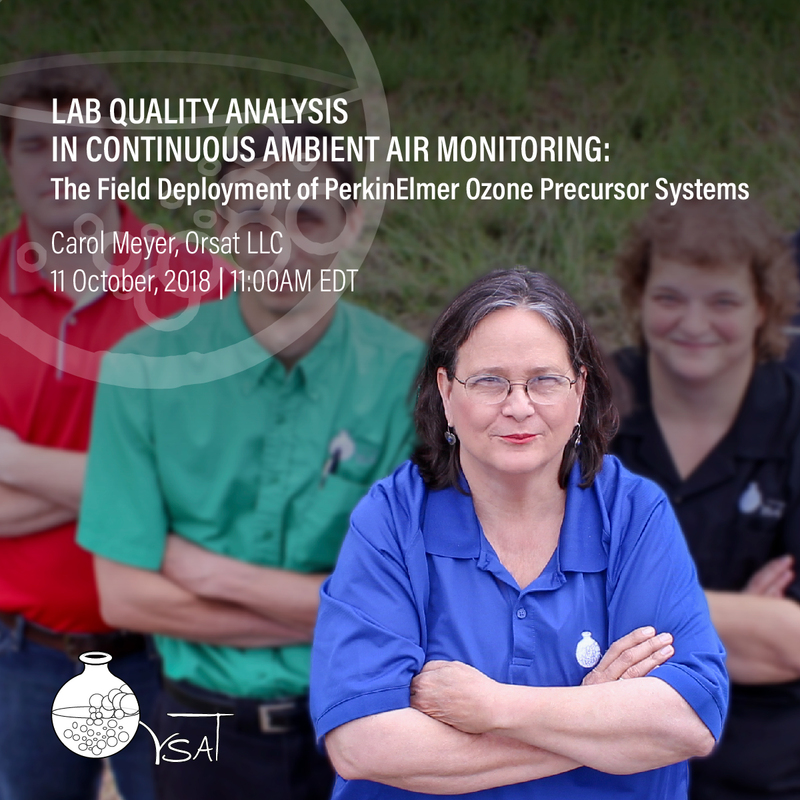 In particular, Orsat has worked closely with the Texas Commission on Environmental Quality (TCEQ) to monitor air quality in the Barnett and Eagle Ford Shale Formations. Orsat is a State of Texas certified Historically Underutilized Business. Exceptional customer service – Orsat consistently provides excellent customer service. They respond quickly to email requests, return phone calls promptly, and follow-up on date requests. Carol responded quickly and accurately when contacted early in the last quarter to provide a quote for relocating several autoGC monitors. Amy provided a list of Orsat inventory and the surplus inventory promptly. This company attends all requested meetings and comes prepared. They are responsive to concerns from agency staff about AutoGC method adjustments. Provided technical/training/set-up assistance when not required – Orsat provided several training sessions with new operators and assisted them in their transition into their new role. Get an up close look at both the PerkinElmer AND Markes/Agilent AutoGC systems currently monitoring 56 non-methane hydrocarbons (NMHCs) 24 hours a day seven days a week at over 35 sites across the US. Over 25 years of experience give Orsat special expertise in the deployment, maintenance, and operation of AutoGCs including the handling of the mountains of data. 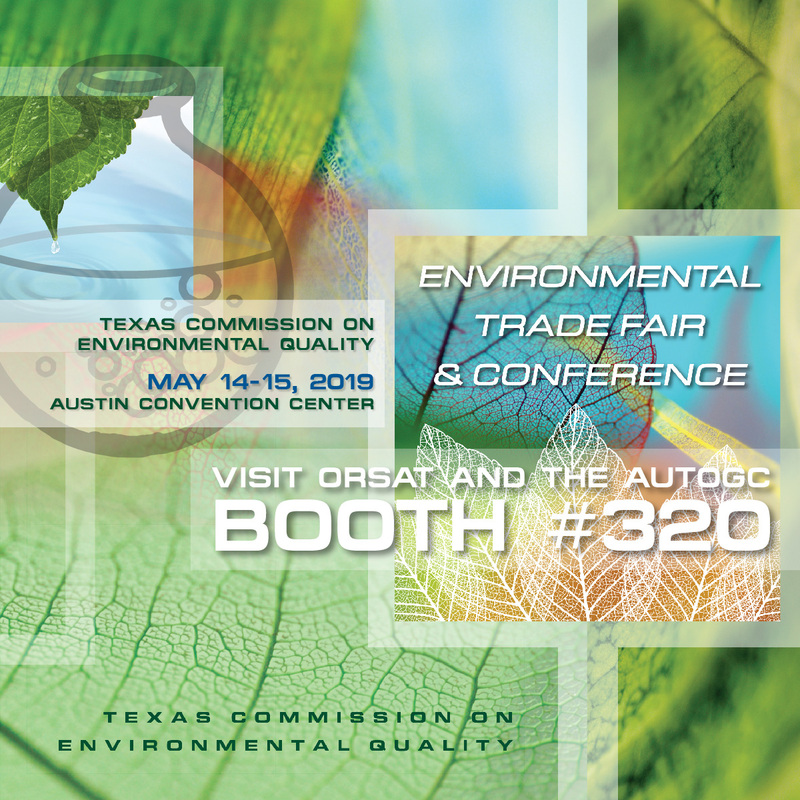 We'll be on hand at the TCEQ's Environmental Trade Fair & Conference May 14 -15 in Austin, TX. The upcoming NAAQS deadline in June has everyone rolling up their sleeves to get all the new systems up and running. Don’t miss Carol’s upcoming presentation: Visualization and Validation of PAMS AutoGC Data, and be sure to stop by the booth to speak to the continuous PAMS experts at Orsat. The EPA deadline for installation of AutoGCs at NCore sites is less than a year away. Don't miss this opportunity to get an up close look at the AutoGC systems which are currently monitoring 56 non-methane hydrocarbons (NMHCs) 24 hours a day seven days a week at over 35 sites across Texas. Get an up close look at the AutoGC system currently monitoring 56 non-methane hydrocarbons (NMHCs) 24 hours a day seven days a week at over 35 sites across Texas. All that raw data is ideal for modeling, but difficult to handle when precision and accuracy are paramount. 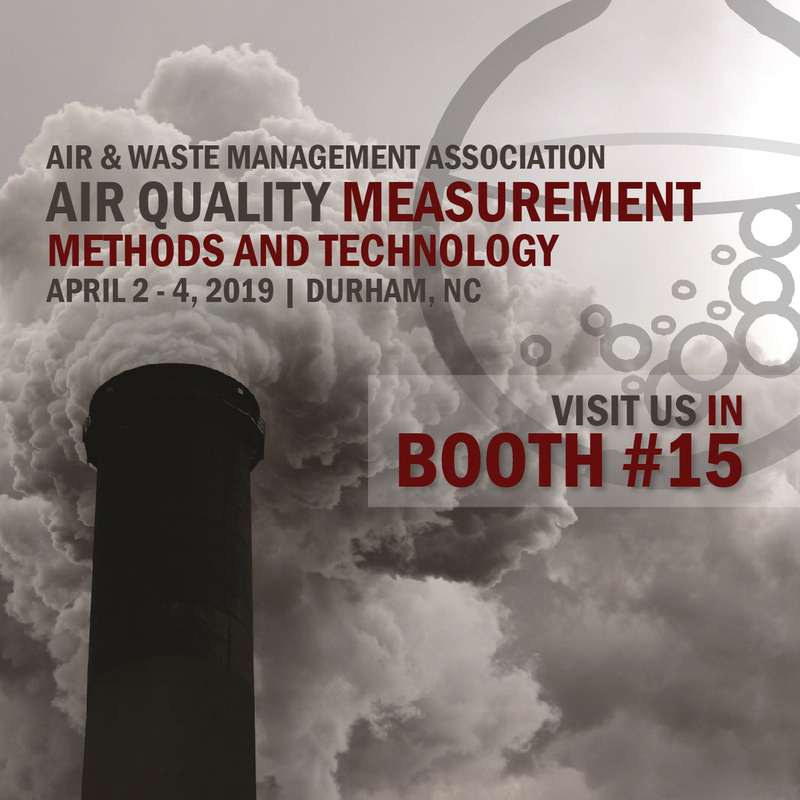 Orsat can boast over 20 years of experience with continuous unattended ambient air VOC monitoring including its earliest implementation in the State of Texas Coastal Oxidant Assessment for Southeast Texas (COAST) program in 1994. Today, Orsat’s services encompass all aspects of site operation from deployment to operator training and application assistance in topics ranging from Microsoft Windows operation to gas chromatographic theory. Please allow us to follow up with you.